Third, Second and Finally, First! 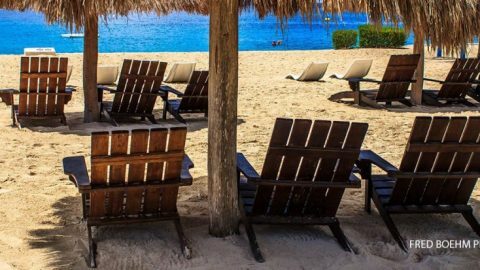 September 2017, Cozumel Ironman 70.3, also known as The Half. I was volunteering in the Medical Tent and chose to check on a young female patient, with incredulous eyes, periodically nibbling her lower lip. When I asked how she was feeling, a single tear escaped one eye, rolling off her face onto the cot where she was stretched out. I replied with an enthusiastic, “Wow, that’s great, well done!” The doctors hoovered at a distance, observing but not stepping up to help. When I asked why, they replied that they were waiting for the anti-doping staff to take a urine sample for testing, indicating she had done very well indeed! It was my turn to be wide eyed. My patient, Svenja Thoes from Germany, saw the look and said, “I think I took third. I only turned pro three months ago!”. It was just dawning on her that turning pro was a very good decision. 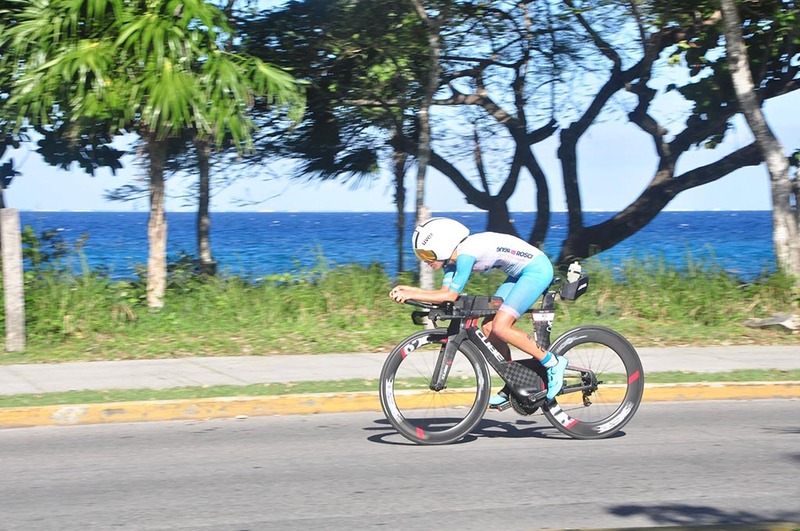 She was on her way to becoming a major force in the world of Ironman athletes. We exchanged Facebook friendships and kept in touch from time to time. Somehow we both missed connecting when, a year later, she took second place in the September 2018 Cozumel Half Ironman. 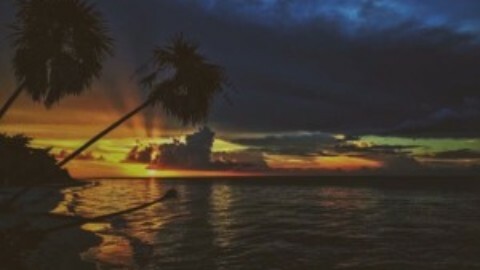 November 2018, Cozumel Ironman, The Full. I promised I would be at the Finish Line to greet her and wished her all sorts of luck and favorable tailwinds. 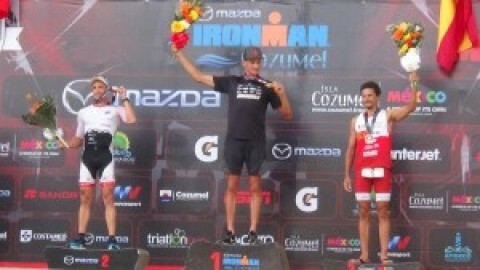 It turned out to be one of the toughest competitions we have had in the ten years of hosting Ironman competitions in Cozumel. The seas were choppy. 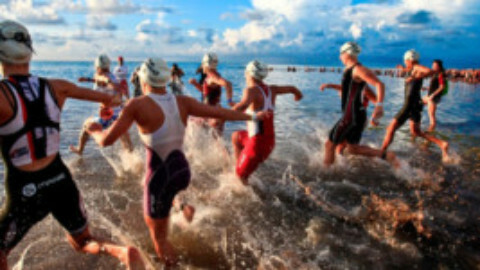 Many athletes swallowed enough ocean water to make them sick at some point during the race. 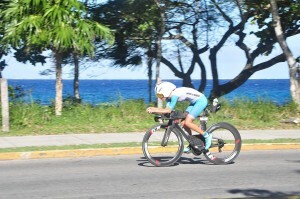 The winds on the east side of the island were brutal headwinds, challenging cycling athletes lap after lap. The volunteers in the Med Tent and at the Finish Line were glued to their Ironman Tracker app, cheering their favorites, even though they were still kilometers away. Svenja was in second place at the beginning of the 26.2 mile run, with 4 minutes 19 seconds to make up in order to overtake the leader, Canadian Angela Naeth. At the first run split, she was only 2 minutes 14 seconds behind. At the second run split, only 51 seconds behind. Finally, in a bold strategic move, she took the lead, saving enough strength and endurance to hang onto it until the finish! Angela took second place, just 45 seconds later. Emotions flowed at the Finish Line as Svenja Thoes took her first ever Elite Ironman Championship, only a year and a half after turning pro. Twenty two minutes 16 seconds later, Lisa Roberts (USA) took the women’s third place trophy. Once the top three were verified, the Elite finishers’ award ceremony commenced. Svenja stood proudly as the national anthem of Germany was played in her honor, then returned to the Finish Line to hand out medals to crossing finishers. Some were first time Ironman athletes, who may not have even known who she was. According to amateur athlete Michael Rose from Wales, UK, it was a “smashing gesture!” Such grace and giving is the essence of this fine athlete. Cozumel marked the last competition of the year for Svenja. She can now enjoy a little down time before starting to train for 2019 competitions. 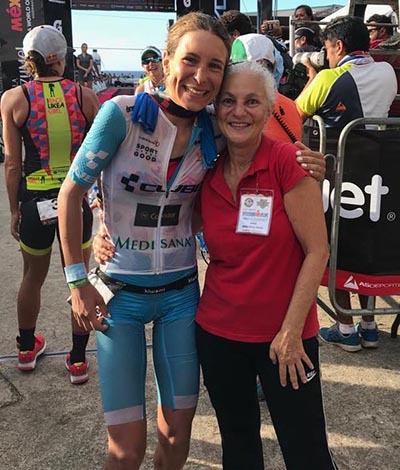 Her win in Cozumel qualifies her for a coveted slot in the Ironman World Championship, in Kona, Hawaii. You can be sure I will be glued to my Ironman Tracker that day as well. Sally Hurwitch, “Ama” to family and friends, is a 20-year resident of Cozumel. 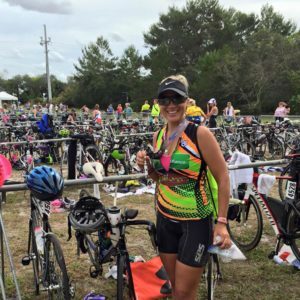 She is a US certified massage therapist and an enthusiastic Ironman Medical Tent volunteer. Una tierna historia de Ironman. . .
tienda de campaña médica y decidí comprobar como se encontraba una joven paciente, con ojos incrédulos, que periódicamente se mordía el labio inferior . Cuando le pregunté cómo se sentía, una lágrima escapó de uno de sus ojos, rodando por su cara hacia la camilla donde se encontraba acostada. Le contesté con un entusiasta “¡Wow! ¡Qué bueno! ¡Bien hecho!”. Los médicos rondaban a cierta distancia; observaban, pero no se acercaban a ayudar. Cuando pregunté el por qué me contestaron que estaban en espera del equipo antidopaje que tomaría una muestra de orina para examinarla, ¡indicando que ciertamente lo había hecho muy bien! Era mi turno asombrarme. Mi paciente, Svenja Thies procedente de Alemania, observó mi asombro y dijo: “¡Creo que llegué en tercero y recien me convertí en profesional”. Comenzaba a darse cuenta que iba en el camino a alcanzar una posición relevante en el mundo de los atletas Ironman. 2018 Medio Ironman de Cozumel. compensar y superar a la líder, la canadiense Angela Naeth. En el primer tramo de la carrera, tan sólo se encontraba 2 minutos 14 segundos atrás. En el segundo tramo, únicamente 51 segundos. Al final, con un atrevido y audaz movimiento tomo la delantera, ¡ahorrando suficiente fuerza y resistencia que mantuvo hasta el final! Svenja obtuvo el segundo lugar, tan sólo 45 segundos después. 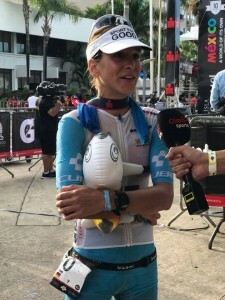 Las emociones se desbordaban en la meta en tanto Svenja Thoes se llevaba su primer Campeonato Ironman, tan solo un año y medio después de convertirse en profesional. 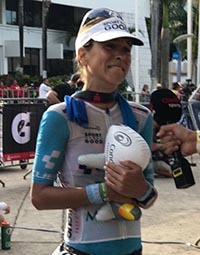 Veintidós minutos 16 segundos después, Lisa Roberts (EUA) se llevaba el trofeo femenil del tercer lugar. Una vez que los tres primeros lugares fueron verificados, comenzó la ceremonia de la élite de finalistas. Svenja, orgullosa al escuchar el himno nacional de su país en su honor, regresó a la línea de meta para entregar medallas a quienes cruzaban la línea de meta. 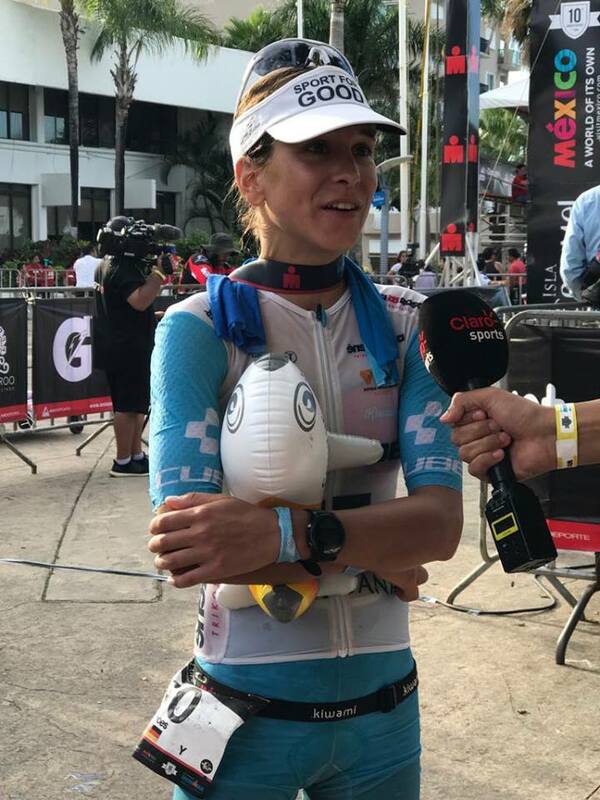 Algunos competían por primera ocasión en Ironman que posiblemente no sabían quién era Svenja. De acuerdo Michael Rose, atleta principiante procedente de Gales, RU, ese “¡gesto fué un éxito!”. La gentileza y el dar son la esencia de esta fina atleta. Cozumel marcó la última competencia del año para Svenja. Ahora puede disfrutar de un lapso de descanso antes de comenzar a entrenar para las competencias del año 2019. 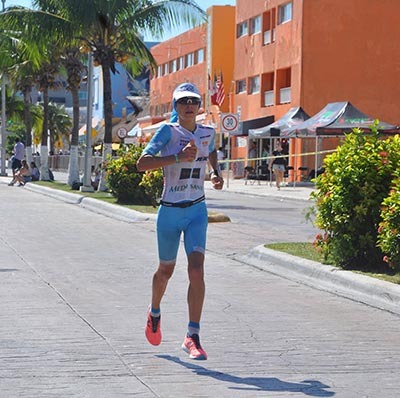 Su triunfo en Cozumel la coloca dentro de los codiciados puestos en el Campeonato Mundial en Kona, Hawái. Pueden estar seguros que ese día también estaré pegada a mi aplicación de rastreo Ironman. 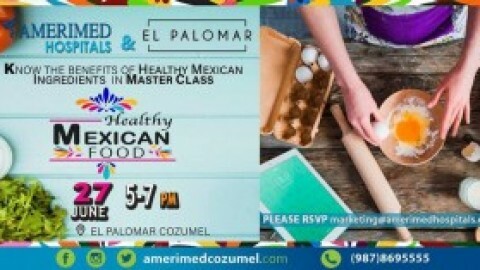 Sally Hurwitch, “Ama” para la familia y amigos, ha vivido en Cozumel desde hace 20 años. Ella cuenta con una certificación de los EUA como terapeuta en masajes y es una entusiasta voluntaria durante Ironman en la tienda de campaña médica.